RIT Esports is joining the Electronic Gaming Federation and will have a new on-campus space for competitions. From left, first-year student Brenden Lai, third-year student Logan Murdock and first-year student Michael Santos practice Rocket League. 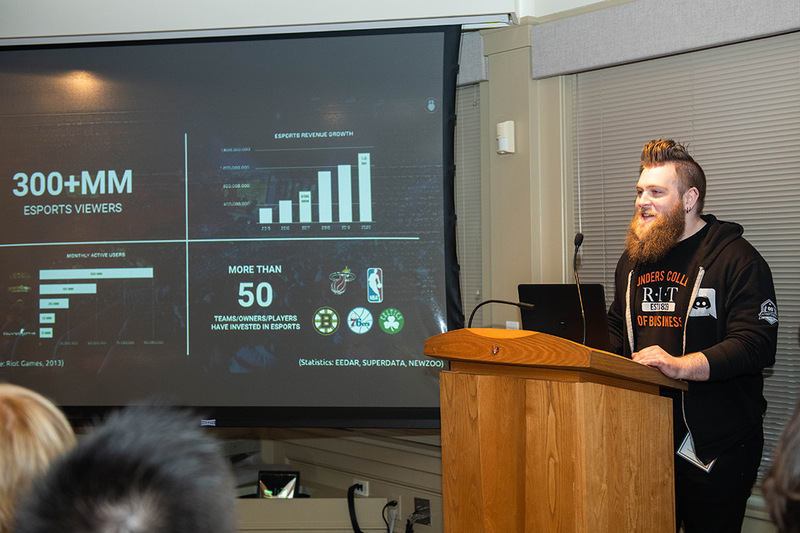 “By joining EGF and creating spaces dedicated to esports, RIT is getting in at the ground floor of something that has potential to be big,” said Weeden. 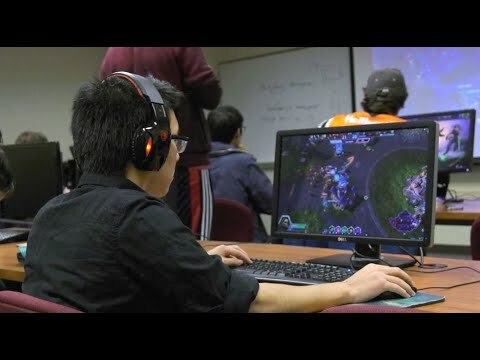 In addition to playing competitively, students at RIT can get involved with esports as a coach or team manager or through intramural esports. Students can also be a part of the production and technical teams that help stream and run matches, or by providing commentary for games as “casters.” The RIT Esports club is a part of RIT’s Golisano College of Computing and Information Sciences. RIT has also been a pioneer in the field of video game design and development, creating a master’s degree in game design and development in 2006 and a bachelor’s degree in 2007. The university is ranked as one of the top schools in the world to study video game design, according to international rankings from The Princeton Review. 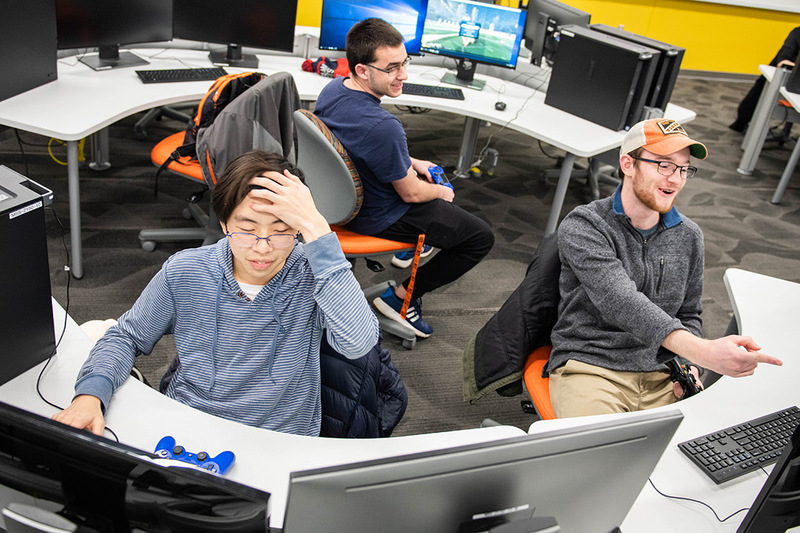 Gaming students also work with RIT's Center for Media, Arts, Games, Interaction and Creativity (MAGIC), an on-campus research laboratory and production studio that helps students bring ideas from prototype to commercial production in the marketplace.